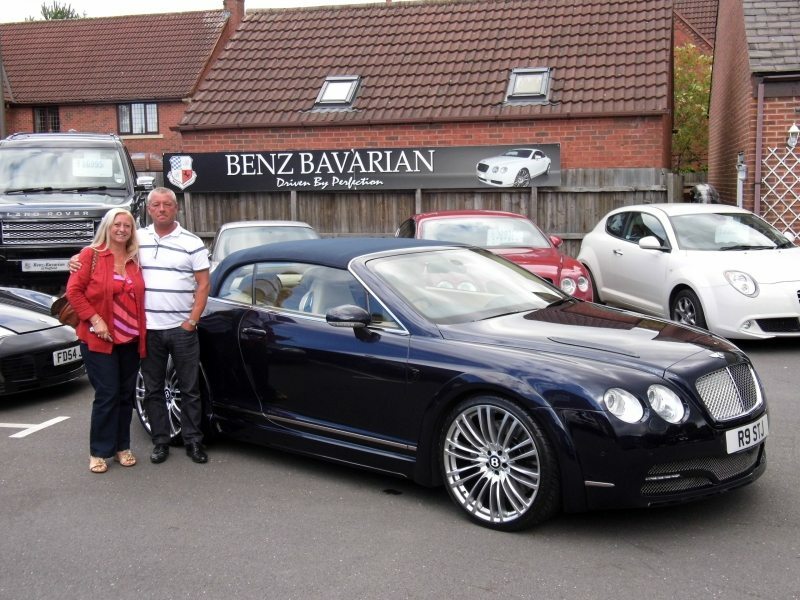 “I have bought many nice cars in my time , mainly from main dealers. I bought my first car from Benz Bavarian last January. I have to say it was a pleasure to deal with Felix and all the staff there. They made us feel so welcome and nothing was too much trouble unlike many of the main dealers. Felix customised a Range Rover for me and it is top class and turns heads wherever we go. I was invited to Bentley Birmingham to the launch of the new Bentley GT3R, which will come onto the market as a limited addition at a little shy of £240,000. Whilst seeking Felix’s advise which he happily gave even though there was no benefit to him, I was invited to visit and see his latest triumph the TITAN. Wow Wow and Wow again. In the end I bought the first Titan GTC and it looks even better than the new Bentley believe me.